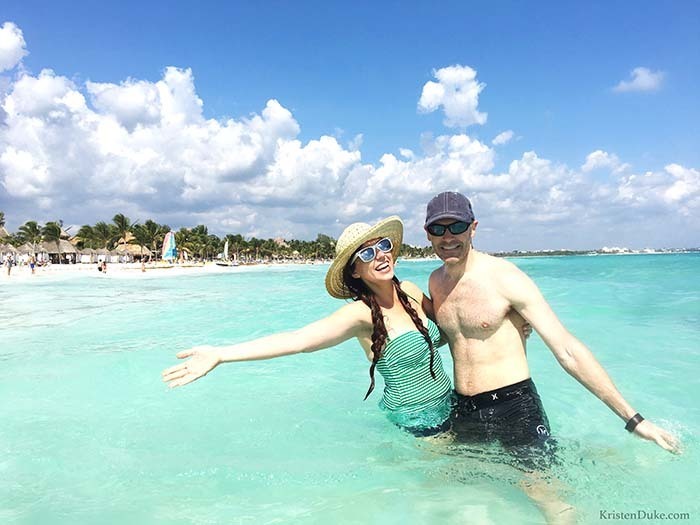 The Cancun Couples Resort I visited recently was a great Mexico vacation perfect for an anniversary trip, or just a getaway with your spouse. Just a quick nonstop flight from Texas! 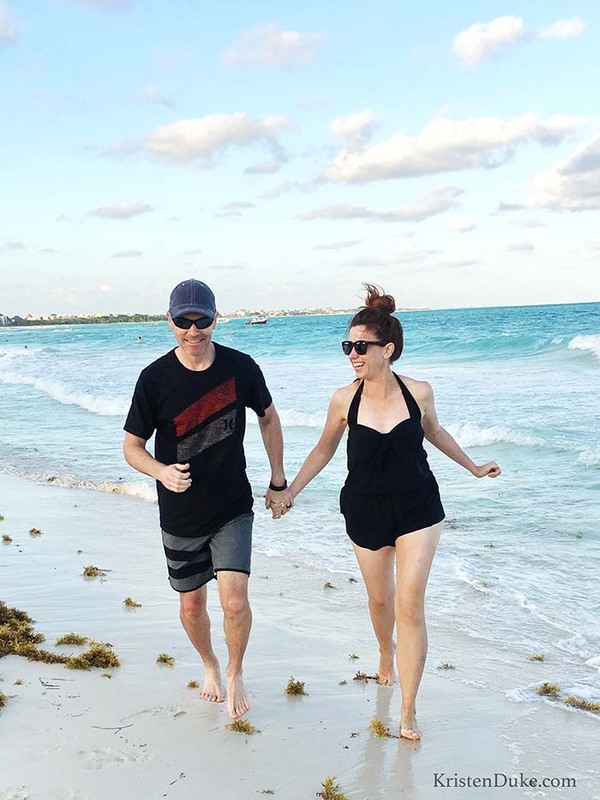 This Cancun Couples resort was just what we needed in February. 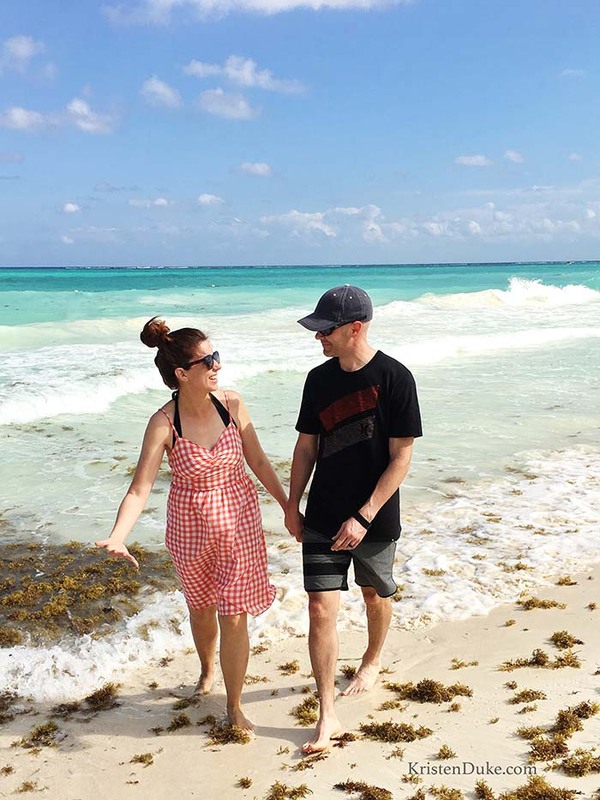 My husband and I escaped for a little Mexico excursion at the Secrets Maroma resort. It was our first stay at an all adult all inclusive resort, and can I just say I can’t wait to go again?? I wish I could say that we had this trip sponsored, but nope…we just hopped on the coattails of our experienced friends and joined them. 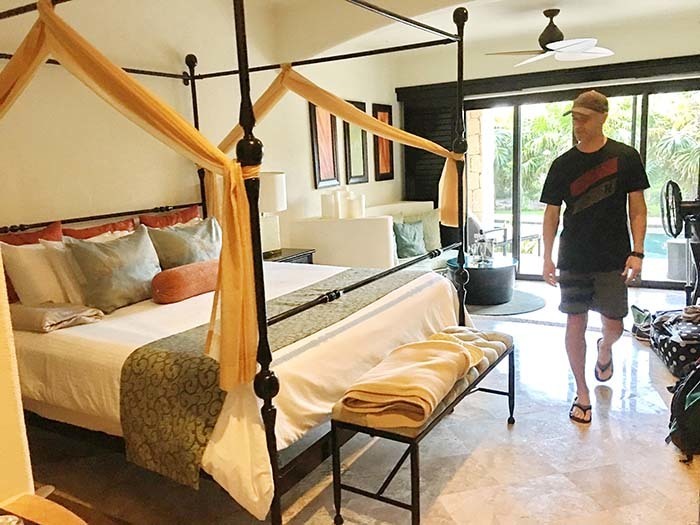 They’ve been to a handful of resorts, so I come with a great recommendation, they really loved this one, a great combo of food/amenities for the price. I already shared in another post the passport debacle my husband experienced in the days before this, which nearly gave me a heart attack. We got his passport delivered just hours before our flight. For having lived in Texas the last 14 years AND growing up here, I’d NEVER been to Cancun! I’ve heard people going there all the time, and when I realized there was a direct 2 hour flight, I just couldn’t believe I hadn’t made this trip before. 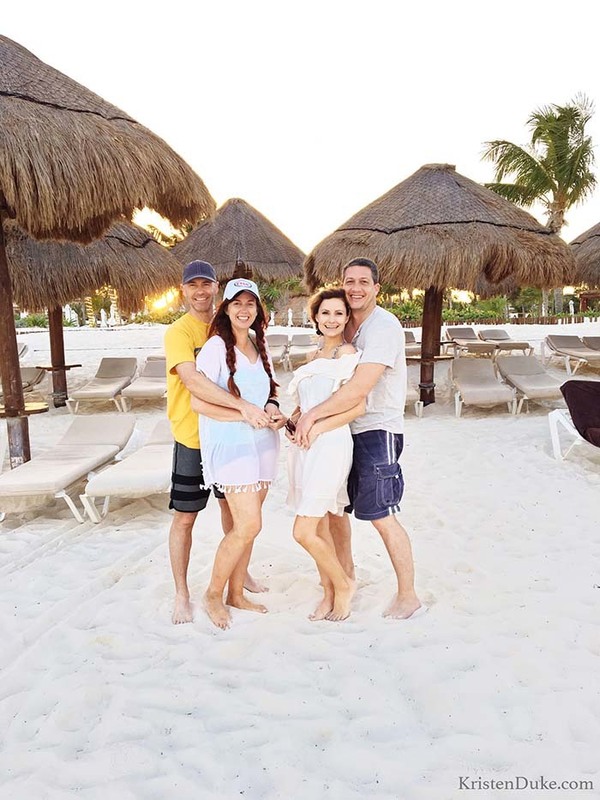 We went with some friends, but they actually flew out a day ahead of us (which turned out to be a blessing with that passport snafu) and I was glad they’d figured out all the arrangements for us to get from the airport to the Cancun couples resort, about a 45 minute shuttle ride. 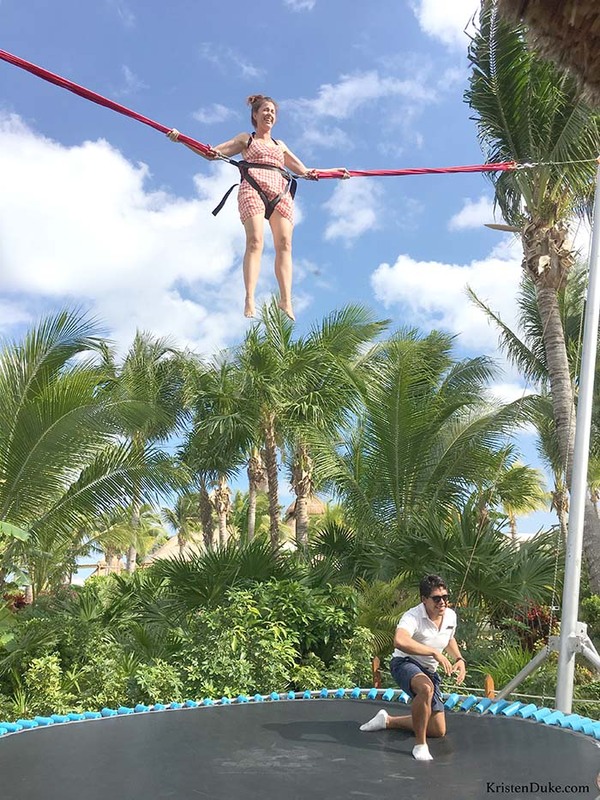 We literally stayed at the resort the entire time (though I really wanted to zipline, we just didn’t make it happen this trip). 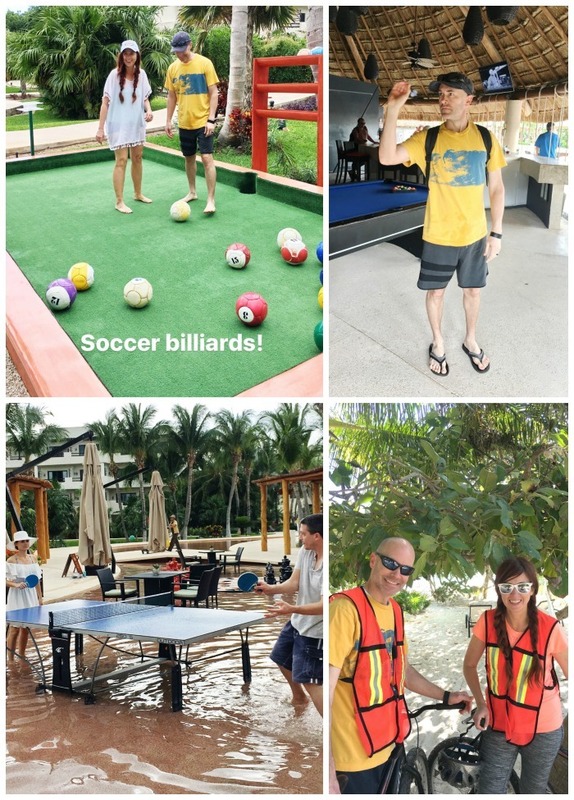 We were only there 3 days, but I get stir crazy and like to MOVE, but I really enjoyed the relaxing nature of the resort. 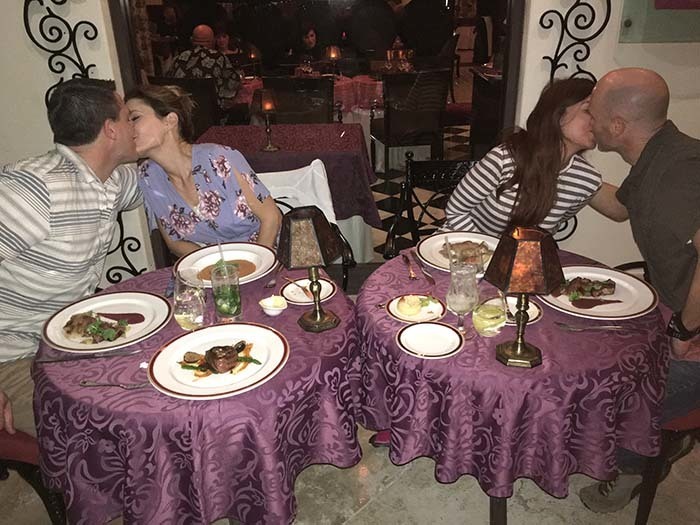 Whenever my husband and I vacation just the two of us, or go out to eat, I’m often people watching other kids. It was kinda nice not to have any children at this resort, I think it definitely resulted in the relaxing nature. I mean, I’m not one to mind when a baby cries on a plane (I want to go help the parents!) or throwing tantrums, but there was a calming influence to having that kind of quiet. Our room was AMAZING! We didn’t spend a TON of time in there, but it had a huge double sized tub, robes, and super fancy walk out pool! Can you tell I felt totally pampered? I can’t believe I don’t have a picture of the cool shower and double tub! It was nifty, trust me. You can see below the two glass doors on the left, one was the toilet, one was the shower. The pool just outside our room porch (shared with neighbors). I swam laps in it one morning. 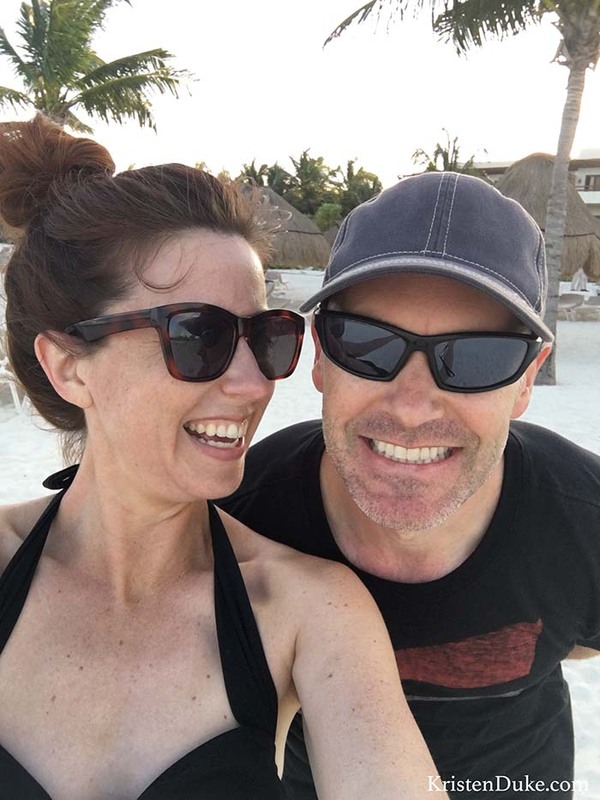 Since this Cancun couples resort was all inclusive, we had some FINE dining every meal of the day, without a price tag, and there is just something uber luxurious about that. Our kids still remember our family cruise where there was “free food.” I mean, I know it’s paid for in the ticket price, but it’s just nice to get that out of the way. I even tried new things like escargot and squid! 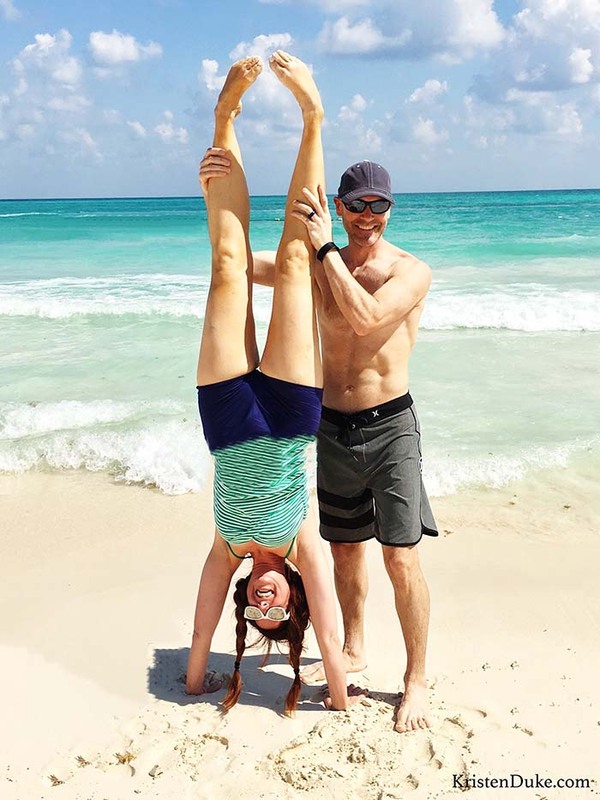 I had been working on my handstand for at least a month before the trip, as I’ve always had in my head that I wanted a picture of myself doing a handstand (or a cartwheel) on the beach. I can’t really do either, and though I practiced, I figured having my husband hold my legs was as good as I’d get right now. He’s so supportive of my crazy dreams. 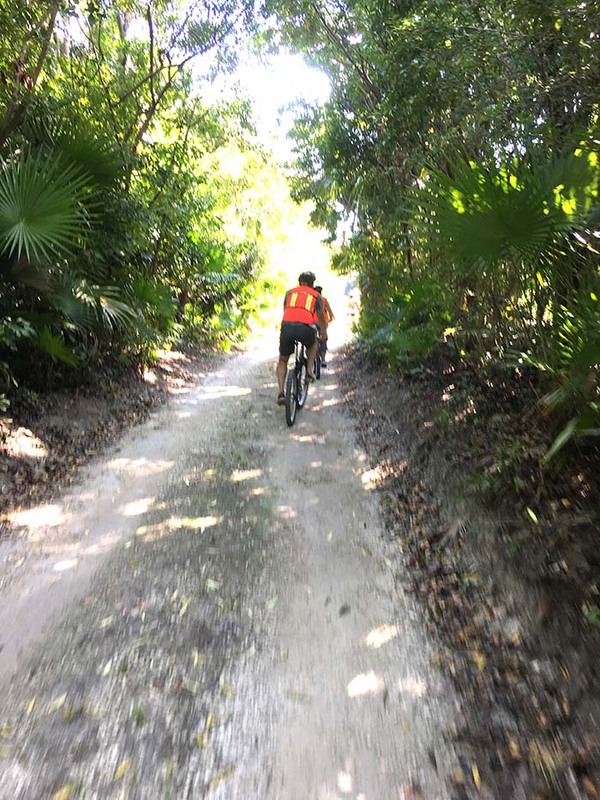 We got this picture below, but I kicked his head on the way down, which I felt very bad about (he had to pace away from me for about a minute after, worried he chipped a tooth from the impact). Poor guy, he was eventually a-ok! The fact that we don’t drink alcohol, I’ve heard people say it may not be worth the price tag, but I felt like we got a pretty good deal, I didn’t think about that at all. I was LOVING the delicious virgin daiquiris!. That felt pretty fancy and luxurious to me! 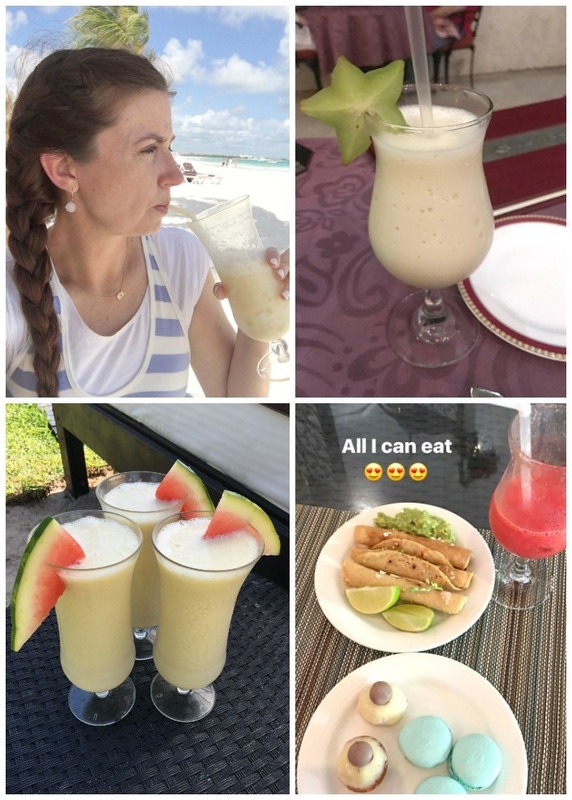 The staff would also often suggest various non alcoholic drinks that we tried, and they were often brought with a different wedge of fruit on the edge. F-A-N-C-Y! I’ll also admit (though I often hesitate to) that I’m not really a BEACH person. 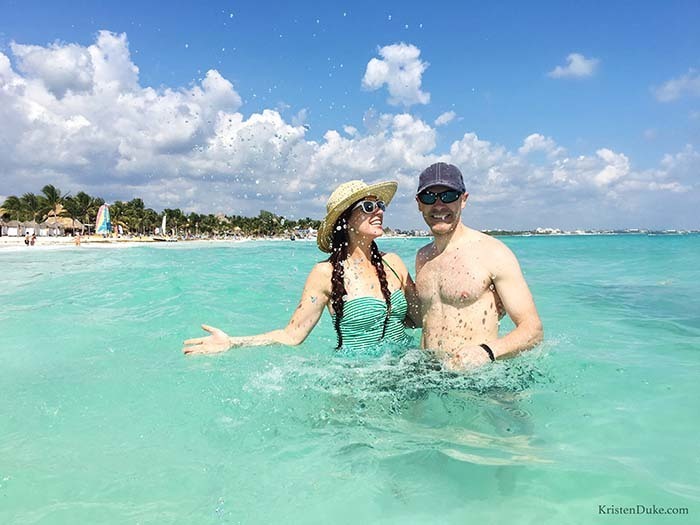 It’s an easy family vacation, and the ocean is ZEN to my husband, so I don’t mind going. I just don’t love the sticky feeling of saltwater on my skin. But if I’m there…I’ll get in the water. I couldn’t get over how BLUE the water was there! My experience with Mexico water was the brown off of the Gulf of Mexico in Houston/Galveston where I grew up. And when we went to Cozumel to swim with dolphins, it wasn’t brown, but it wasn’t this blue either. It was unreal! It felt good to swim in it, too. I also am not one to “lay out.” I’ve got pretty fair skin, and had my fair share of burns as a child (don’t worry I have yearly Dermatology checks) so the fear of a burn is real to me. Plus, it’s so BRIGHT out there by the ocean. 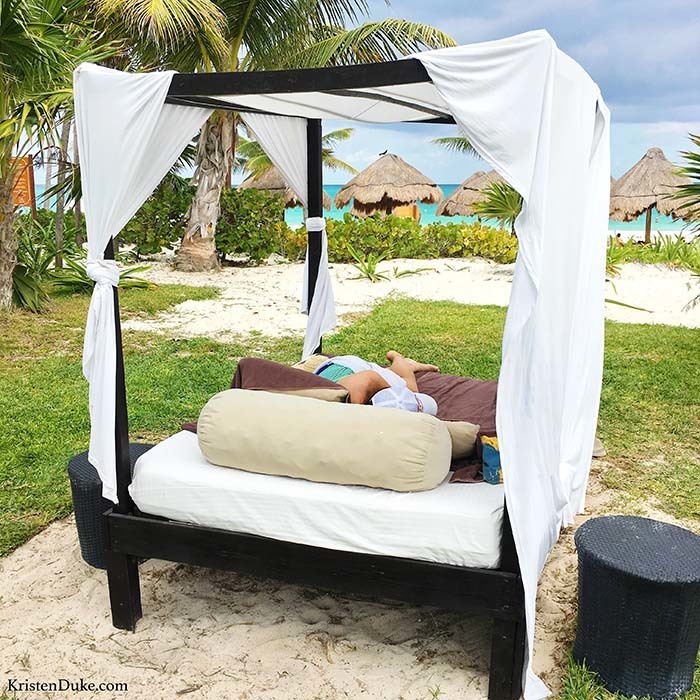 We really enjoyed lounging in the chairs under the cute umbrellas, or this bed below. This was also our first vacation we took with friends. 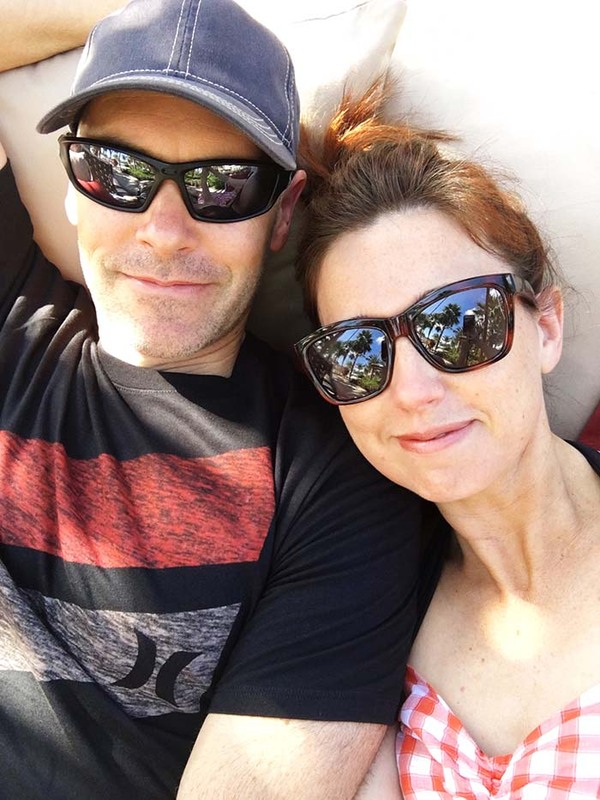 We’d thought about it over the years, but my husband and I really enjoy each other and just being the two of us, so it just never really felt like we needed it. 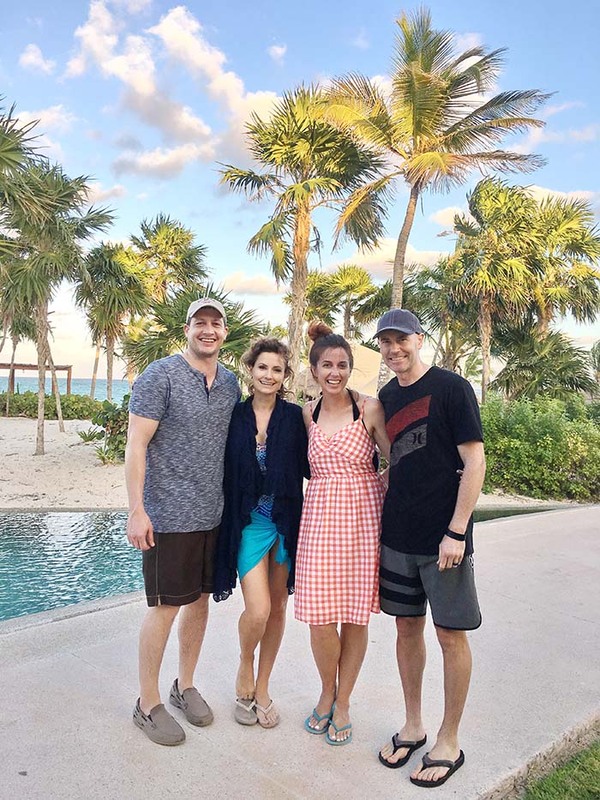 We’ve been friends with Chris and Jessica for nearly 10 years, and have enjoyed our double dates over the years enough that I thought they’d be the perfect set of friends to venture out on a friend couples vacation with. I always learn new things about my husband when I hear him tell stories to others. He’s not the biggest storyteller, so it’s really fun for me to hear him tell things that he probably assumes he’s told me before, but is new to me. My hubby and I got up and out early the last morning we were there to see the sunrise. I do enjoy my typical sleep in, but I wanted to sacrifice that and go with him, since this is something he really loves. Cool pic below.. 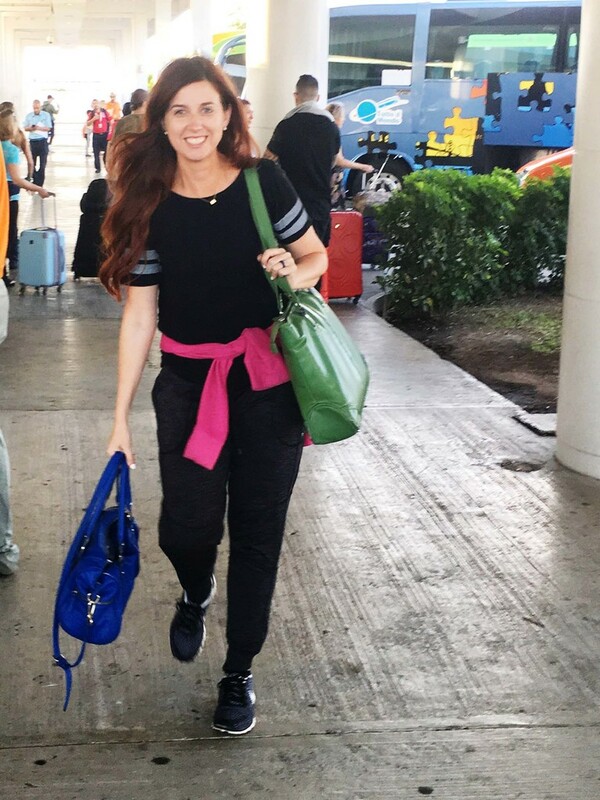 I know how much they love to travel, and Jessica is the one who gave me all the tips for our first cruise a few years ago, and they just know the ropes for these resorts. They’ve been to a few on their own, and a few with their kids. As we were planning, she asked me which resort I wanted to go to, and I’m like, “I don’t know, they’re all the same to me!” We booked it in December for an early February travel. I like a quick turnaround, who wants to wait for a fun vacay? We also tried to use the hobeycat (sail boat) on 2 different days, but it was too windy, so that was a bummer. There were jet ski’s to rent, and kite surfing, but we just watched. We went on a bike tour in the “jungle” and danced at the club, but opted out of the American Idol type event. Oh, and a few times this trampoline was up, and Jessica and I took a turn, and got some good laughs! I couldn’t quite propel my body to do a flip! I’ll just end with a handful of my favorite couple shots. It was fun and convenient to hand my camera off to my friend to snap pictures of my hubby and I, and I did the same for our friends! We only got 3 shots of the 4 of us. 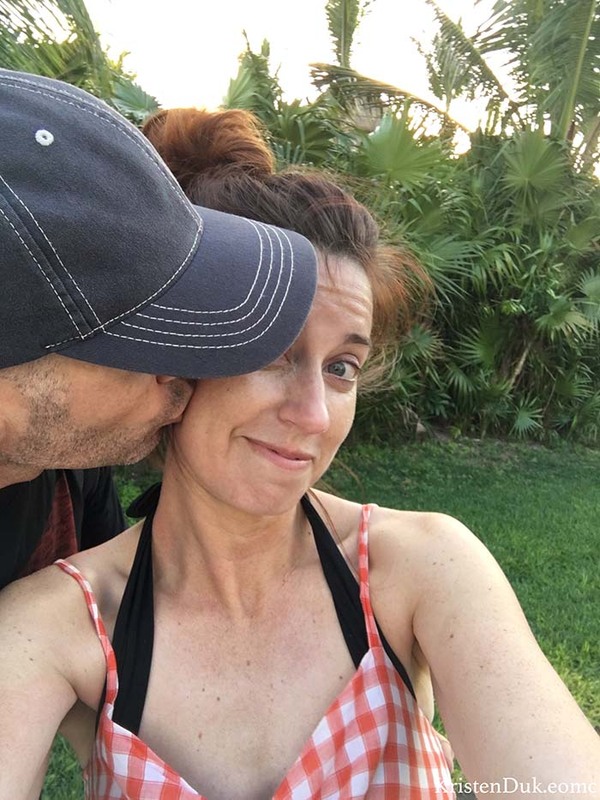 All in all, I don’t know if it was Mexico, or the blue water, the unlimited fancy food, being on our best behavior with friends, or those virgin bevy’s, but I felt an extra ounce of romanticism with my husband on this trip. I looked at him more adoringly than I’d felt in a while, and we don’t have major issues, just the busy of life. I always need to reminder to focus more on him, and just look in his eyes as we talk, instead of just rushing too and fro. It felt good, and necessary, and I look forward to our next adventure…with or without friends. 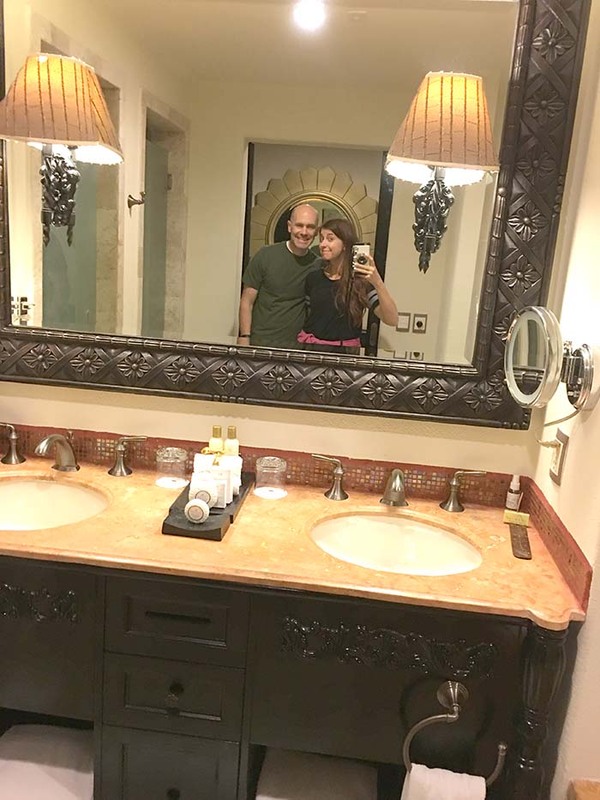 Have you been to a couples resort? 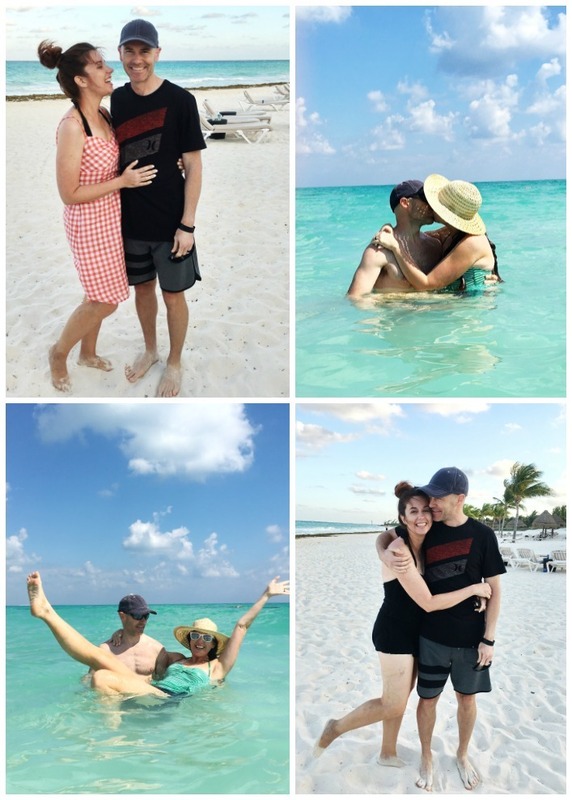 Favorite couples getaway?? 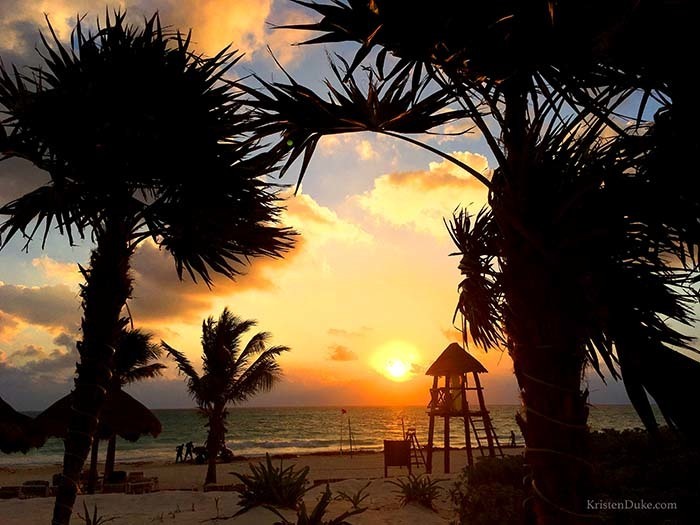 To see some aerial pictures of our resort, here is the Secrets Maroma website to look around.